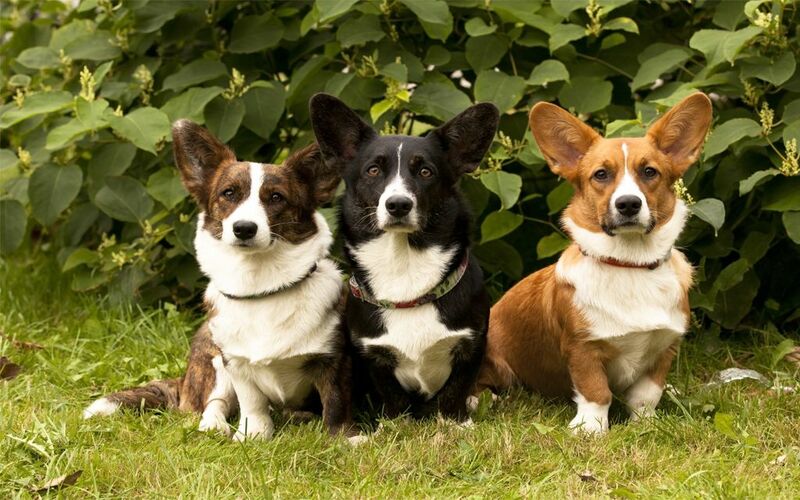 There are two breeds of Welsh corgis, the Cardigan and the Pembroke, each named for the county in Wales where it originated. The differences between the two breeds include bone structure, body length, and size. Cardigans are the larger of the two breeds, with large rounded ears and a 12-inch-long foxy, flowing tail set in line with the body. Though the Cardigan is allowed more colours than the Pembroke, white should not predominate in its coat. The breed stands about 12 inches (30 cm) at the shoulder, and weighs about 30 pounds (14 kg). The Cardigan is sturdy, mobile, alert, active, intelligent, steady, and neither shy nor aggressive. Pembrokes feature pointed ears, and are somewhat smaller in stature than the Cardigan. Considered a practical dog, they are low-set, intelligent, strong and sturdy with stamina sufficient to work a day on the farm. The dog’s head is fox-like and the tail short, which can be accomplished through breeding or docking. Historically, the Pembroke was a breed with a natural bob tail (a very short tail), and today, if the Pembroke has a tail at all, it is usually curly. 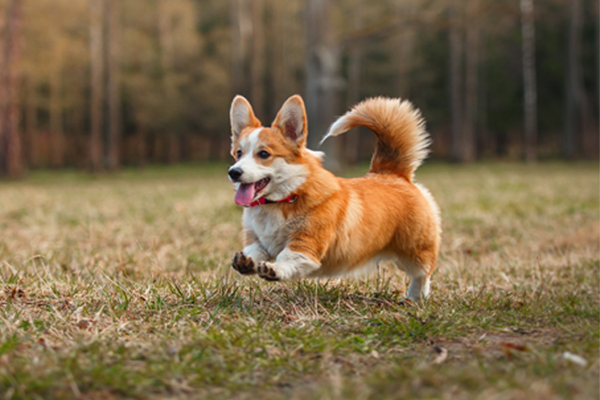 Corgis are very active and energetic. They have a strong desire to please and should receive both physical and mental exercise regularly. They should be socialized early on because they tend to be shy and cautious with strangers and other dogs. They have a tendency to be very vocal, and for this reason make good alarm dogs. 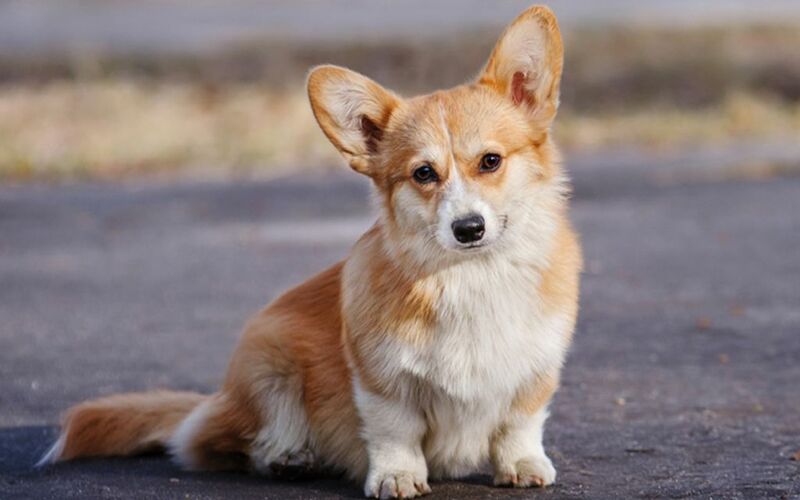 The Corgi’s coat colors include red, sable, fawn, brindle, black and brindle, blue merle (black and gray; marbled), black and tan with white markings. There are often white markings on the legs, chest, neck and parts of the muzzle. 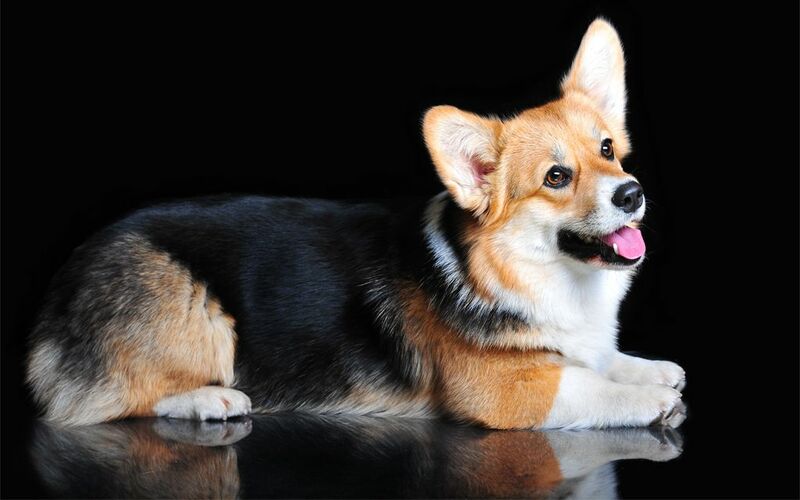 The Corgi is a double-coated dog where the outer coat is dense, slightly harsh in texture, and of medium length. The dog’s undercoat is short, soft, and thick. Generally healthy however there is a slight history of Progressive Retinal Atrophy (PRA). 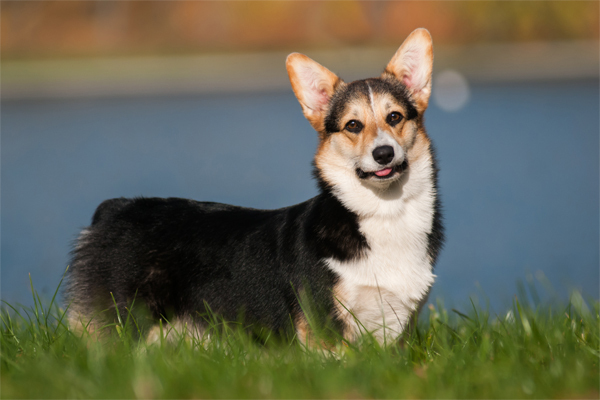 This disease in Corgi’s usually has an early onset and can be determined by two years of age. 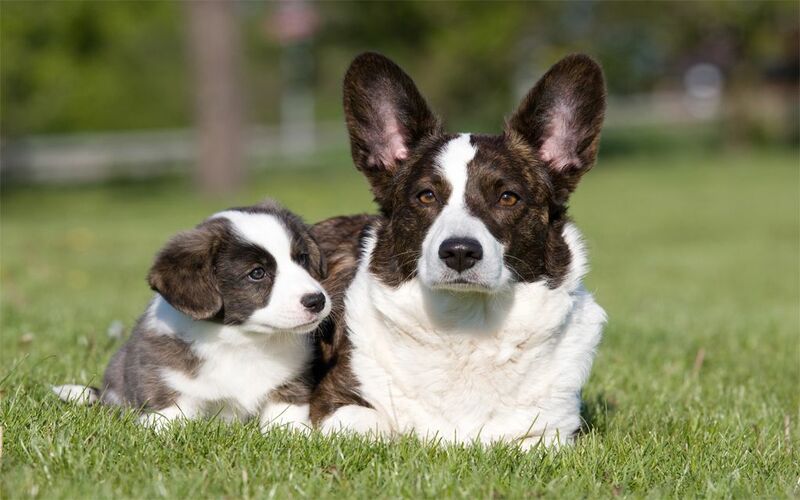 Most Corgi’s affected with PRA will be blind by three years of age. Corgi’s are adaptable, living on country acreage or city apartments. They are ideal house pets and companion dogs, which means they are meant to be with you. Dogs can be outside to exercise but brought in several times during the day. Corgi’s love to romp in the snow. As companion dogs, they love best being with you, especially if they can con you into sharing your lap. 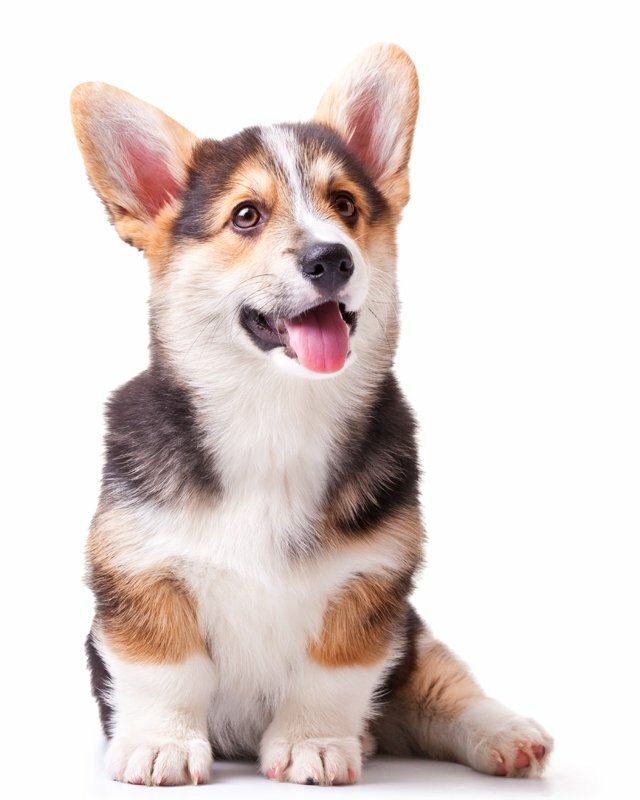 Seien Sie vor Allem, wenn eine neue Welsh Corgi Rasse zum Markt kommt. I consent to receive Notifications when new Welsh Corgi puppies are posted.